Yesterday you read part one of Chris and Robyn’s collaborative writing story! Here’s part two! When we set out to have our students collaborate over Google Docs, a face to face meeting wasn’t part of the original plan. After multiple pairings and collaborations, our students asked, “So, when are we going to meet each other?” Their request made perfect sense – when we (Robyn and Chris) began collaborating on our own writing projects, it was initially done online – and then, of course, we met up to share a drink and discuss writing. Meeting in person humanized the process, making our collaboration – and our writing – stronger. So, why not offer our students the same opportunity (minus the wine bar and plus a school-sponsored field trip)? Using writing protocols from the National Blogging Collaborative, we designed a day of thinking, writing, and working together. Chris bussed his freshmen from Downers Grove North High School to Hinsdale Central High School, where Robyn’s seniors waited in the Community Room, the air packed with baked goods and absolutely no idea what to expect. Once the initial awkwardness of our students meeting began to wane (think: um, do we shake hands? How will we even know how to find our partner? ), we got down to the work of writing and thinking with the charge “Let’s Write!” After viewing a Ta-Nahesi Coates interview on the writing process, students reacted to Coates’ words with a brief gush write, followed by both freshman and seniors sharing their ideas and finally(!) hearing each other’s voices! Because we didn’t meet until 10:15 and had just spent 45 minutes watching, writing, and discussing the Coates clip, it was time for lunch; however, time was not to be wasted. We kept students in their discussion groups (which were based off of their argument-writing groups), and projected several discussion questions onto the wall. While eating, students pondered such topics as: “why do you write?”; “what is your biggest challenge as a writer?”; “what sort of reading influences you most as a writer?”, and so much more. The conversation was casual yet deep, friendly yet intellectual. In short, it was the exact sort of conversation that teachers push for: grounded in deep thought, yet authentic and real in structure. As the lunch time conversations began to wrap up we had three more activities from them: playing with verbs, finishing their co-writing projects, and collaborative poetry writing. Reread the piece and, changing only the verbs, completely alter the tone of the piece. After these three steps, they traded back so that their partner could read the “new” piece, changed by the verbs. Students laughed with one another, seeing how powerful (and oftentimes forgotten) verbs are to writing. Without us prompting, students were asking to share (read in front of everyone) parts or all of their story, so of course, we took time to for this, allowing everyone to hear and laugh together, enjoying the power of writing. The next activity we did provided students time to work in their passion groups to finish their pieces. The goal of this activity was to create a final version of their collaborative pieces, and we suggested that students play with embedding images and links into the finished pieces to add interactive elements. We gave them an hour and half to write, and they really went to work (gotta love a deadline!). While the kids were typing away, figuring out what to cut, where to add, and what links or pictures to weave into their pieces, we pulled a couple of partnerships into a separate room where they were interviewed by a student videographer. We asked them to share their experience on camera, and it was later published in Hinsdale’s online newsmagazine. Our final activity was a short collaborative poetry experience. We headed outside to Hinsdale’s chilly yet picturesque courtyard (complete with baby ducks and the resident goose, whose aggressive posturing was nearly as entertaining as our poetry activity), and grouped students into small poetry cohorts. Students wrote down their favorite lines from the passion pieces, and, using those lines as a springboard, wrote poems together, passing their papers clockwise and adding lines and phrases under a tight time limit (20-30 seconds max for each pass). We watched and listened to them giggle as they added to each other’s work and shared from their poems. It was amazing to see the camaraderie formed throughout the day, and this activity really sealed the community with laughter and comfort, smoothing out the awkwardness that they had at their initial meeting and creating a truly collaborative atmosphere. 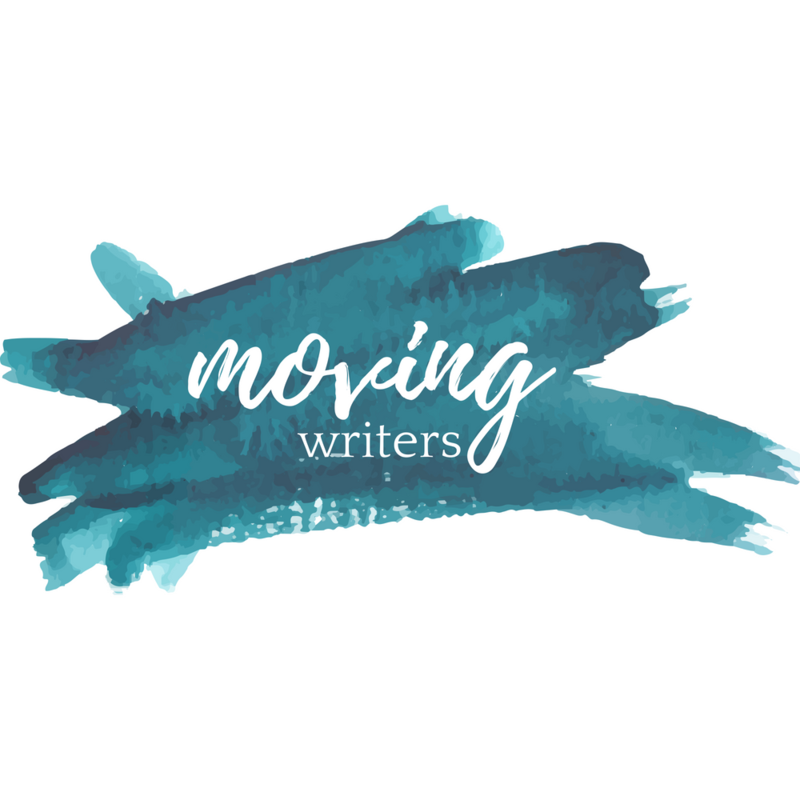 You can connect with Chris & Robyn on Twitter @MrBronke and @RobynCorelitz or the Moving Writers Community on Facebook. Previous PostConnecting Through Words: Kids as Writing Coaches, Part I Next PostConnecting Through Words: Kids as Writing Coaches, Part III. The finale!